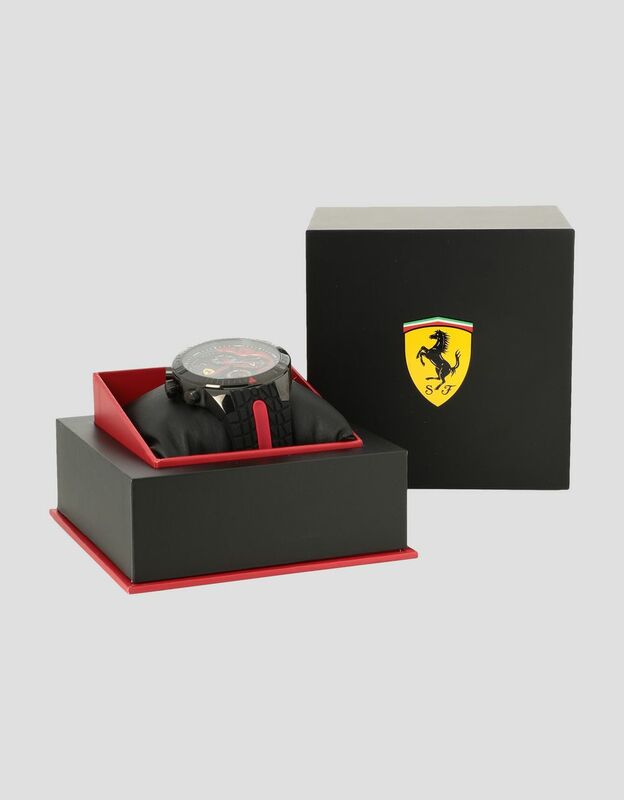 Packed with personality, the new Scuderia Ferrari Red Rev EVO watch boasts ergonomic shapes and unique details inspired by racecars. 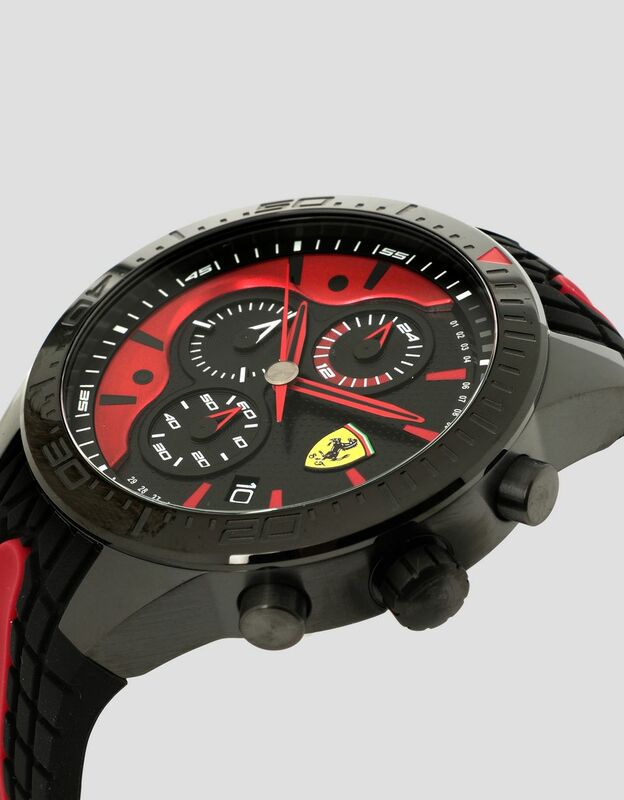 With a black case and bezel, the new Red Rev EVO watch offers a bold, dynamic design, with an original multilayer dial. 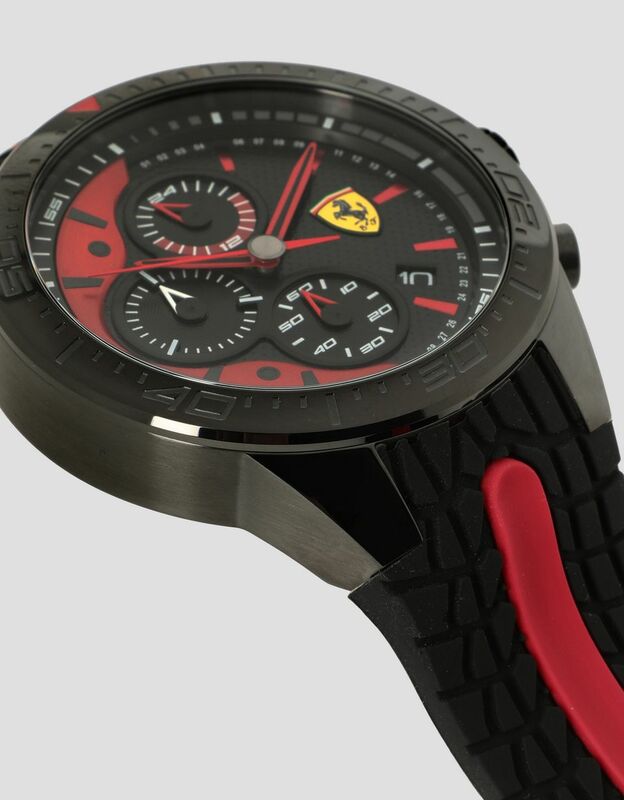 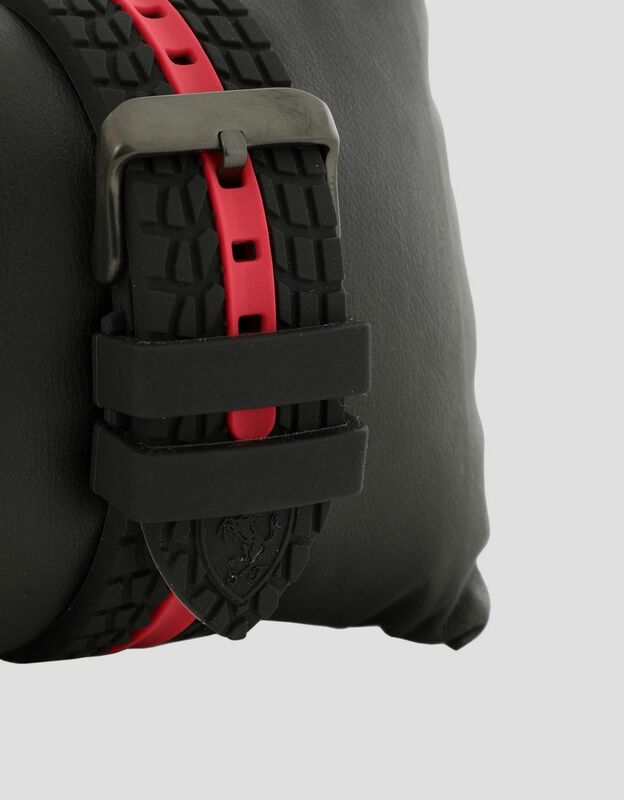 The innovative metal tag, which reproduces a racecar’s motor plate, enlivens the watch's bold black dial. 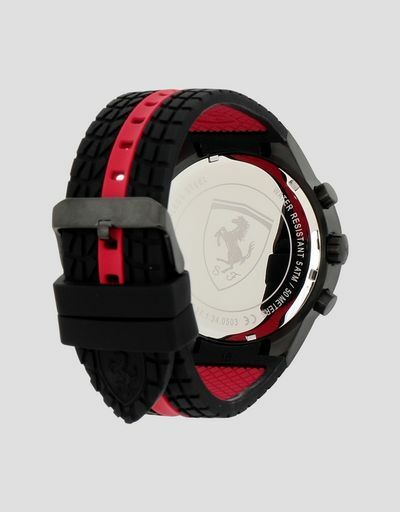 Contrasting red details and the Shield in its iconic colors provide additional interest. 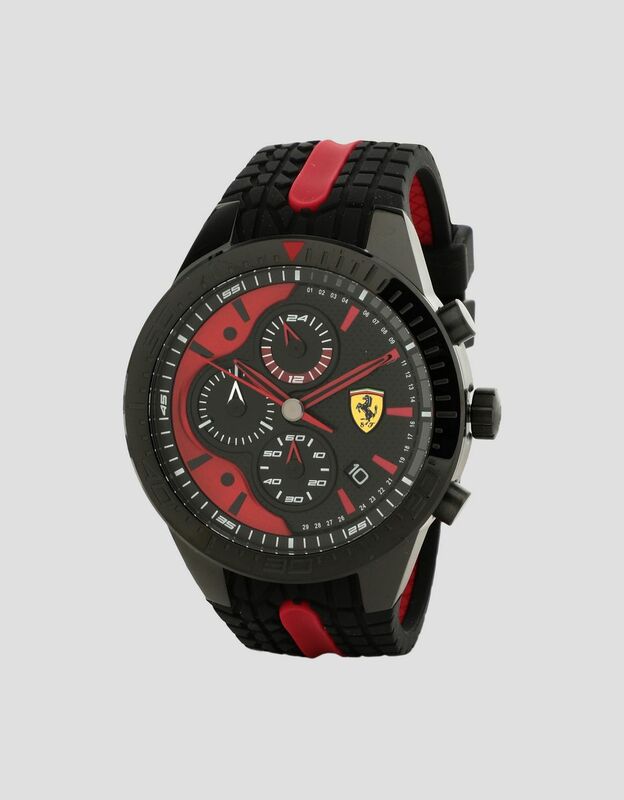 With bright red details, the silicone wrist strap reminiscent of a car's tires accentuates the racing attitude of this chronograph watch.